As a small gym owner, you might not have all the resources of some of the big box gyms. With that being said, you need to utilize all the resources available to you. If you’re figuring out where to allocate your time and resources, it starts with you and your staff. You need to ensure that your operation is set up to ensure efficient profitability. Gym Management Software is one tool which can simplify a lot of the challenges that come with being a small gym owner. Time-consuming tasks such as check-ins, member management, and retention can all be taken care of with a gym software solution. 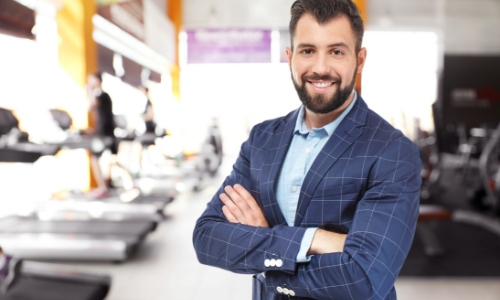 In this article we will highlight how small gym owners typically do things, and how those operations can be simplified with gym software. You have members write their name and the time they come and leave your gym, along with any guests they might have attended with. This might work for some gyms, but sometimes people forget or aren’t accurate when they give their check-in credentials. With gym software, you can streamline the check in process! You can have the ability to allow members to check in with barcode key tags or even have a computer facing members so they can scan into your facility or classes. This ensures that people give accurate information and allows gym owners to track facility and class attendance. We all know it’s not fun chasing members for late payments, right? Whether having a member stop attending your gym for some reason or not returning calls. This can be frustrating as a gym owner and you might not even notice when you have a missed bill if you’re still only taking cash for monthly memberships. With automated recurring payments, members will never miss a bill. Gym software allows gym owners to easily set up clients on a recurring membership so therefore members automated get charged via either ACH or credit card every month. You can also easily see if transactions fail for any reason or if anyone has missed a bill. Every gym has their own waivers members must sign, but this often creates too much paperwork! Not every gym has the space to keep all these files if they are in a smaller space. This can also cause old records to be lost or replaced as time goes on if you add new waivers to your facility or make clients sign multiple forms. With digital waivers you can easily create waivers for your athletes to sign online with an integrated gym management software. You can also easily see which members have signed waivers, and which waivers pertain to their membership. With digital waivers you can create a variety of waivers based on membership type, class, etc. For many gym owners, Excel is your best friend! There’s no problem with that, but in the long run it might not be the most efficient way to run your gym. From time to time you can lose track of information, and data entry simply takes too much time while you’re running a business. Now: Detailed Financial Reporting, with No Work Involved! Gym software offers detailed reporting features that eliminate the need for Excel, however you can still export the pertinent information to Excel, it will always be stored in your software! This gives gym owners the benefit of being able to track a variety of important financial metrics.